Home Blog Highlights from 2014 and A Happy New Year! Highlights from 2014 and A Happy New Year! The past year at Spanco has brought many positive changes; as we turn the corner to embark on a new year, we’d like to highlight some of the awesome developments in 2014 that are helping us to transform in new and exciting ways in 2015. In mid 2014, we began expanding the Spanco facility in Las Vegas. As West Coast production increased, so did the need for a new and improved factory. The facility has been expanded from roughly 28 thousand square feet to 68 thousand square feet, which has increased efficiency in manufacturing and greatly improved the factory layout. The newly expanded work area has increased capacity to allow for more manpower, more efficient workstations, and a clean and well-planned production process. 2014 also boasted changes to our line of Spanco literature, improving communications with dealers and customers throughout the company. Along with newly drafted literature, Spanco also reconstructed its website and introduced the Lift Lab, a new dealer portal and crane configurator. The dealer portal will help to improve efficiency for dealers, reps, and end users. In addition to improving and expanding our literature, website, dealer portal, and Las Vegas facility, we’ve also improved our warranty to ensure the best customer service and reliability possible. The old warranty covered five years for manual products, but the new warranty covers a full ten years on non-wearable parts for our full line of manual systems. This change doubles the lifetime of customer warranties, enhancing our reliability and further ensuring our promise to perform. This past year has also brought new faces to our company, including our new Director of Sales, Jeff Brazwell. Jeff has an incredible track record in the material handling industry, including over 20 years of business development and account management experience. He is very service oriented, and has worked diligently to constantly improve dealer relations and internal processes. His renewed focus on business development and exceptional customer service at every level of our distribution network will help us to move Spanco to the next level in 2015. 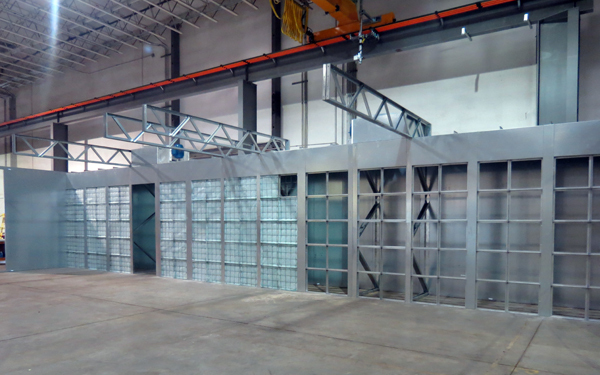 Spanco’s aim for 2015 is to continue to provide pre-engineered overhead crane systems as well as unique solutions for challenging projects that require custom crane engineering in a way that is flexible and customer-service oriented. We are excited to see what else the New Year will bring here at Spanco and for our expanding distribution network. Thanks for being part of our transformative process in 2014, and here’s to a very Happy New Year moving forward in 2015!